is well known that the Hurwitz zeta function ζ(s, α) with rational or transcendental parameter α is universal in the sense of Voronin, i.e., a wide class of analytic functions can be approximated by the shifts ζ(s + iτ, α), τ ∈ ℝ. The case of algebraic irrational α is still an open problem. 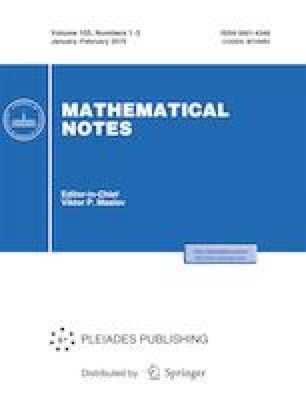 It is proved that there exists a nonempty closed set of analytic functions that can be approximated by shifts ζ(s + iτ, α) with algebraic irrational α.
Russian Text © A. Balčiūnas, A. Dubickas, A. Laurinčikas, 2019, published in Matematicheskie Zametki, 2019, Vol. 105, No. 2, pp. 179–186.